Deyi Tent Manufacture (Hangzhou) Co., ltd. , set on the bank of beautiful West Lake, is a professional manufacturer with integrated feature of production and sale. 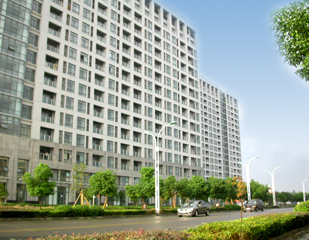 The company owns professional workshops, modernized assembly lines and adopts international advanced production technology. 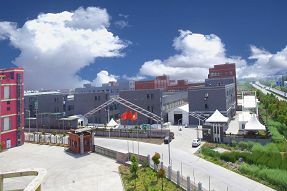 Its new established production-making base named Tongxiang Deyi Outdoors Appliance Co., ltd located in Tongxiang industrial park occupies 15 Chinese acres and 10000m2 of plants. Furthermore, there are branches set in Beijing and Guangzhou that will provide more convenient, much faster and more effective services for the areas of the Yangtse Delta, Pearl River Delta and three northeastern provinces. All the products have the feature of fireproof, wind protection and solidity by adopting the German manufacturing standards. Our products: pagoda tents, herringbone top-shaped tents and various shaped tents. The width of products is from 3m to 50m, while length can be infinitely increased according to 3m per set or 5m per set. Our party tents, storage tents and wedding tents are widespread used in the activities of family party, business conference, expo, celebration and storage. Since 2001, our products have been sold in many countries and areas of America, Europe, Middle East and Africa, and have gained good public praise among customers by the excellent quality of products and timely accurate after-sale service.